Pet Store Software is an one stop solution for billing, customer management, stock handling and accounting needs. Petshop business may look simple from outside, but it’s very hard to maintain. Lot of things to be noted properly and analyze to not make any losses. Each and every animal will have different breeds and distinct food, shelter, accessories, toys etc. We need to have proper knowledge about everything and need to plan accordingly. The major critical thing in this business is managing inventory properly and according to demand. There will be products which have high demand and also products with low demand but we have to balance them properly. To overcome this mess, we need to have a proper analysis of demand and supply. 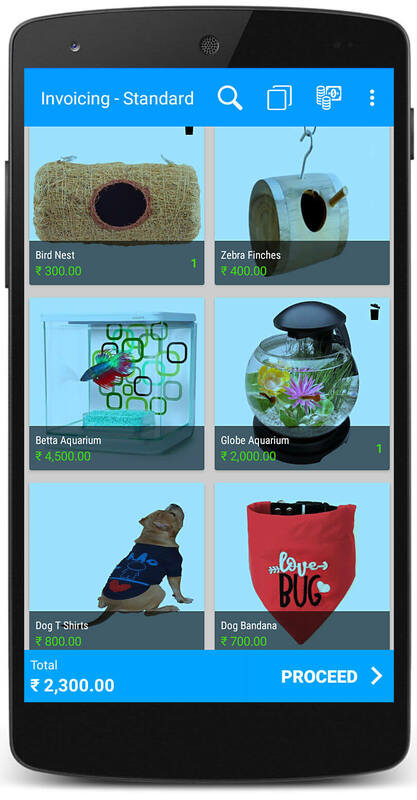 Just Billing pet store software will make you manage inventory very easily just on clicks. You also get different analysis reports about your business performance which allows you to take decisions to improve even more and reduce the damage to the business. Software interface look is user-friendly, with just one click you can go to the billing page and start the process. Collecting payments, generating invoices and everything can easily be navigated with clear understanding. You can give various prices to a single product. Happy hours, Offer days, special prices for loyal customers etc in many other ways you can give prices. This will boost sales than single price strategy. Add 1000s of products just in minutes. You don’t need to enter every product one by one. Our software has predefined product template, just need to fill and upload into the software. each and every detail will be recorded in our software like sale, purchase, expense etc. You can check the records and reports of any data you required at anytime. You don’t require any accountant when you are having Just billing. Tax calculation, accountancy process, return filings everything will prepare automatically according to rules and regulations. Now maintaining multi stores become easy than ever with just billing. Just install the software in stores and link all in the administration cloud back-office. When you want to check how any particular store is performing, login to back-office and can see the business operations in real-time. Every company prepares financial reports to show business is in profit or loss. Likewise, to know how the business is running, we need a few reports to check the performance. Just billing can extract various business analytical reports like sales, expenses, accounting, tax etc. You don’t need to go to the store and check the details of how your business running. Now you can log in to software and check every detail you require in just a few touches. Download and follow simple steps to setup Just Billing Pet Store Software.